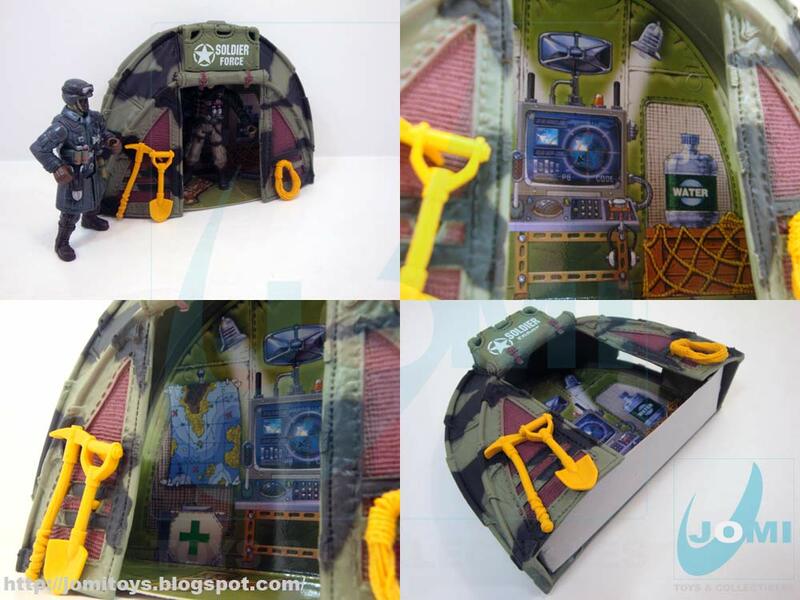 Completing the pair, this is the 2nd Outpost Bunker playset, including a command post tent. Again, do NOT forget to choose the Follow option to properly participate in our contest. Filling the form is just one of the quick and easy steps. Then your will to win shall determine how many comments you want to place in this site. 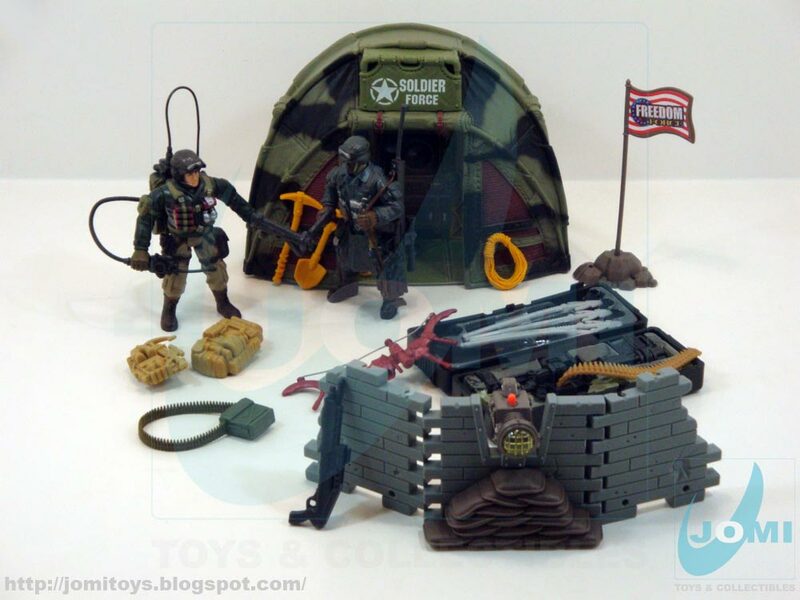 The Outpost Bunker playsets were some of the rarest items I remember seeing. Actually, these 2 present in our site, were the only examples I ever caught. You may say (and rightly and wisely) there is nothing special about the contents. They came in several other colors and Chap Mei themes. Right. But packaged like this they didn´t. 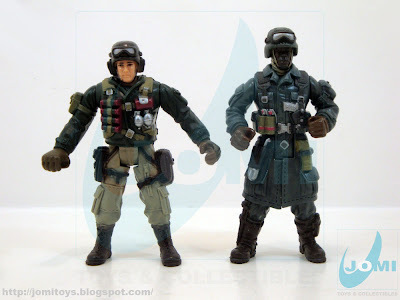 Since most of Chap Mei clients are not collectors per se, this is just a side note. But noteworthy. Contents view. Strangely (and yet common enough), the Soldier Force logo was associated with "Freedom Force". 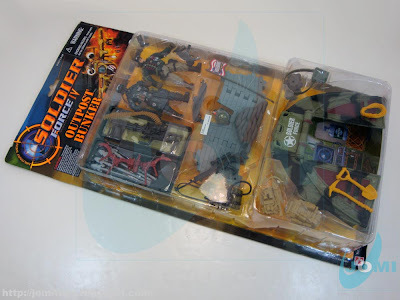 The latest being a different pre-True Heroes version of the original Soldier Force toy brand. Usually "Freedom Force" was a more captured "flag" in the US and Asia but over the years, and especially after SF series III, in Europe too. Included accessories. 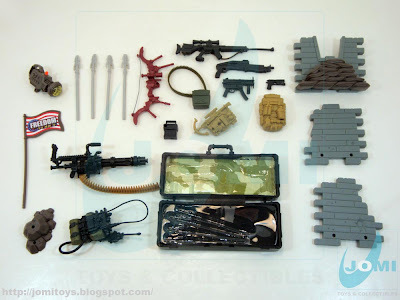 The 2 outpost sets comprised several items, some very gripping for your action figures. The field radio backpack, for one. The always needed barricades, ammo belt boxes and the sought-after working searchlights. Present in both sets, when you touch the orange button, the light turns on. 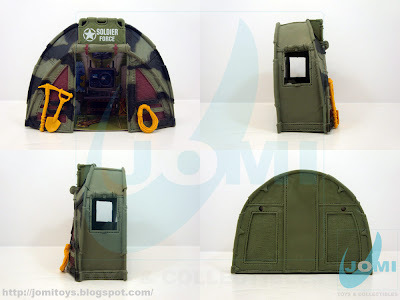 The command post tent is a very nice piece for any diorama. Bulky, with enough space and detail, you can use them extensively to exhaustion. Detail shots. Interiors are provided by cardboard inserts glued to the PVC. Scale shot with Hasbro figure. I have searched forever and a day for this tent, where did you find it? The tend for sure is a great, great item. I'll have to find it. 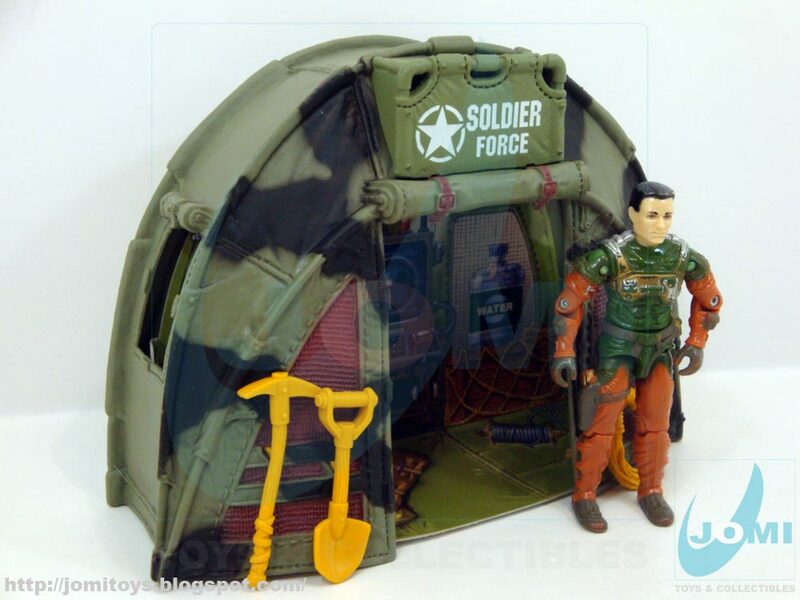 That is a cool command center tent. Looks heavy! Good review, thanks! You´ll find a lot of Soldier force series figures there.